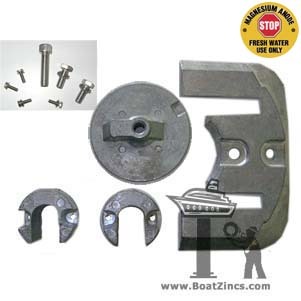 Complete magnesium anode kit for Mercruiser Bravo II & III sterndrives. 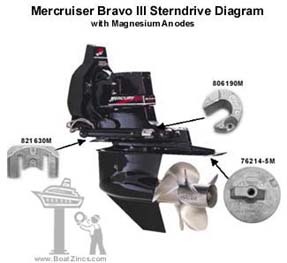 Fits 1988 and newer Bravo II drives, and 1995-2003 Bravo III drives. 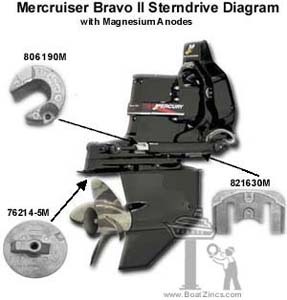 Magnesium is the most active metal on the Galvanic scale and intended FOR USE IN FRESH WATER ONLY.